I hope, the logical part of "How to print all even number in c programming" is clear now. 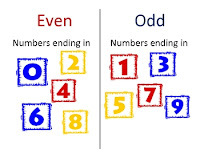 So now time to implement this in c programming.Again now you are able to "print all odd number in c programming". Don't see the code now. At first try is yourself and then go to see the code in c programming to print all even number. How to print all even number in c programming (logic).To print all even number from a range in c programming, we have to check all number between given range. To check if the number is odd or even number, we can use this following logic: The rule is, if any number is fully divided by 2, then this number is even. Else the number is odd.Print all even number in c programming. Here you are checking 30 whether 30 is odd or even. As 30 mod 2 = 0, 30 is even.